Mississippi Drive Corridor Project: A complete streets project and signature entryway into the City of Muscatine! 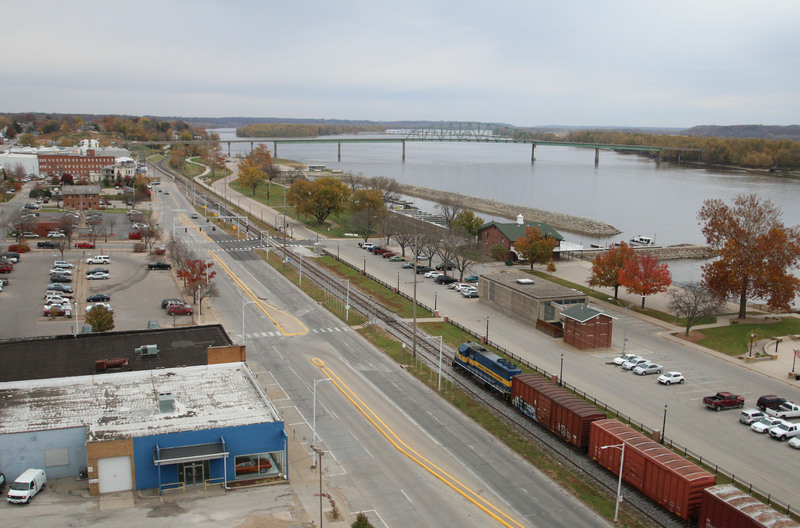 The City of Muscatine, Iowa, is soliciting qualifications from interested engineering firms to provide design services and other related work for the “Mississippi Drive Corridor Reconstruction Project”. This proposal includes the reconstruction of 1.6 miles of U.S. 61-Business (pavement and curb/gutter); street lighting, landscaping, gateway features; pedestrian crossings and sidewalk improvements; traffic signals and geometric improvements; and storm drainage improvements and roadway embankment work intended to improve flood protection. The work would focus on four distinct areas adjoining Muscatine’s Central Business District. The improvement segments include the HNI Campus Area, Downtown Area, High Sidewalk (Bluff) Area and the Carver Corner Area. The objectives for the proposal include meeting the objectives of Muscatine’s complete street policy by improving both Muscatine’s quality of life and image by providing a safe and attractive environment for street users of all ages and abilities such as motorists, pedestrians, bicyclists, mass transit, children, senior citizens, individuals with disabilities, freight carriers, emergency responders and adjacent land users; modernizing U.S. 61-Business through the reconfiguration and reconstruction of the sub-standard, deteriorated roadway; and enhancing aesthetics throughout the corridor that are consistent with Muscatine’s riverfront improvements. Work will include plan development, public meetings, design development, final design, technical specifications and drawings. The City is currently in the process of selecting an engineering firm to bring this project from concept to reality. Our first step will be to engage the community, its residents and key stakeholders in a formal public process. Stayed tuned for more information and please participate! 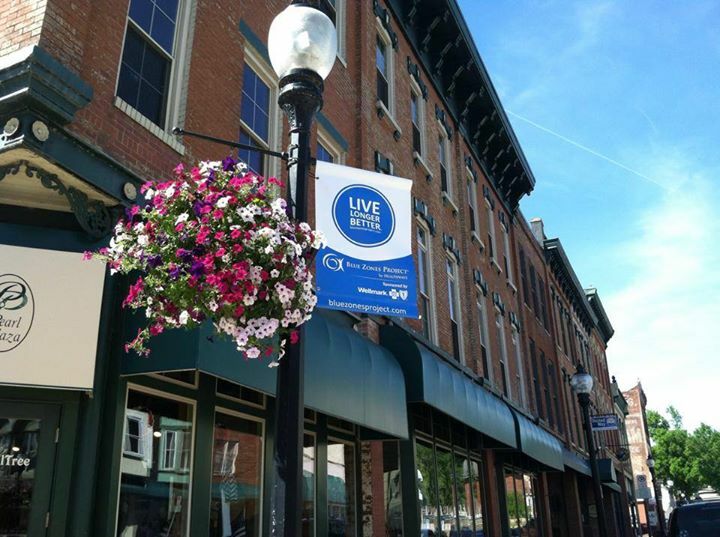 The City of Muscatine and three local banks, Central State Bank, First National Bank of Muscatine, and Community Bank and Trust, have partnered to launch a new loan program to assist property owners in Muscatine’s downtown to make improvements to their buildings and properties. 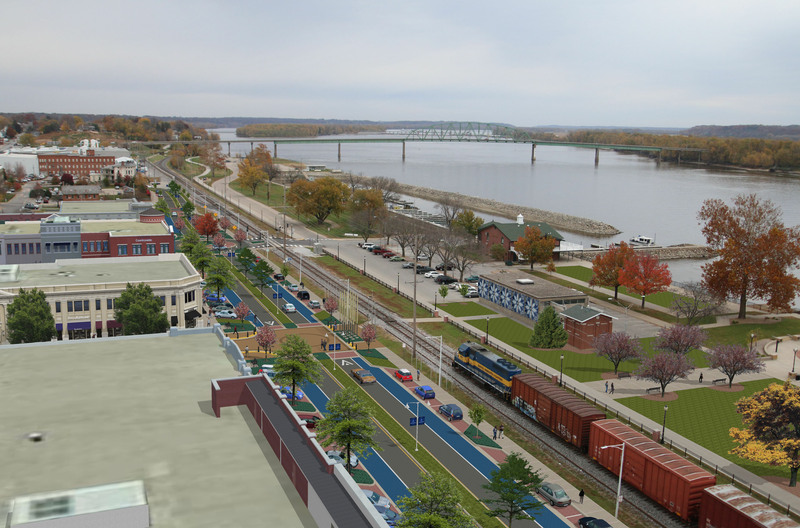 The program was born out of the need to stretch grant dollars for a specific downtown project so it could design, construct or upgrade the rear sides of a select few downtown buildings to take advantage of riverfront views that exist. The local banks are committed to the City of Muscatine’s downtown and have set aside $1,000,000 for this loan program. Property owners will first work with City of Muscatine staff to detail the improvements to be completed with a building improvement plan. With the City’s approval, applicants can approach the three lending institutions to secure funds for their improvement project. Loans will receive a fixed rate at 1% below prime for the first three years with a variable adjustable rate thereafter for a term no longer than 10 years. 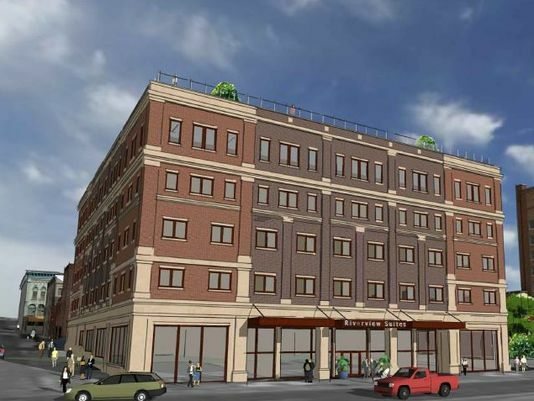 The initial district for these loans will run 12 City blocks. The loans will be a minimum of $5,000, and borrowers will still be subject to the banks normal credit standards. Most improvements are eligible; however, there are some improvements that are ineligible such as no signage, inventory or modifications that take away from the historic character of the property and historic district. Let’s continue to make downtown Muscatine a great place to live, work and play!